At Holiday Let Mortgages, we like to bring you our latest Holiday Let development and conversion cases, so that you can see just what can be achieved with a little imagination, hard work and of course the right financing facility. As always we have to make it clear that we are not Lawyers, so you should seek Independent Legal advice and consult other professionals such as an Architects. What we try to do is bring you previously successful holiday let build and conversion projects, in the form of real case studies. Here’s one that we dealt with earlier………..
About a year ago we had a call from John, a new customer to Holiday let Mortgages. John told us that he owned an unencumbered freehold property with a value of £1.75m, in the Dales National Park. 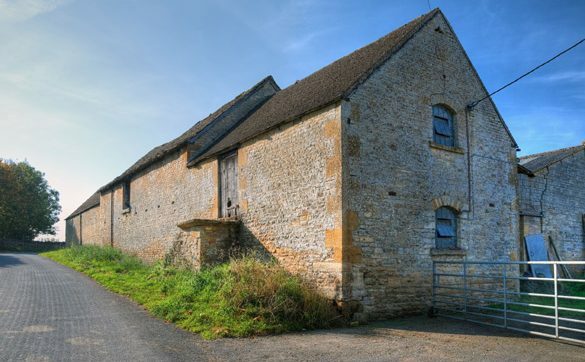 His plan was to convert an old stone barn situated on his land (17 acres) into a holiday let property, which could then be retained as an investment. He had not applied for planning permission yet, preferring to explore the viability of his idea before making his application. He was quite open with us in saying that he was totally inexperienced and wanted advice. Our Consultant advised John that before spending any money, it would be wise to phone the Local Authority Planning Department and talk to them about planning issues, specifically what could be built and what usage he would likely be given. Our consultant added that John should bear in mind he would only find out the exact requirements at Full Planning Application stage. We know that Local Authority Planners can be very particular in their requirements for Barn Conversion Planning Applications. In some areas these requirements can go as far as insisting that reclaimed materials are used, which don’t come cheap as they can be difficult to source. We have also known projects come to a complete standstill, awaiting sourcing and delivery of such materials. Of course, where projects are concerned……..time is very definitely money. Our Mortgage Consultant made John aware that he would be unlikely to get permission for full residential use, particularly in a National Park, more likely Holiday Let use only. Moreover, our Consultant told John that it if planning was approved for Holiday Let use only, it was important to check that the conditions of the permission did not state that the Barn must remain tied to the main house. He had recently come across a case where the Land Registry had allowed a split of title, but the Local Authority had “tied” the additional plot title from being sold independently of the main house in the Land Charges Register where planning obligations are noted. If this tie was made a condition in John’s planning if would mean that the converted Barn could not be mortgaged in its own right or sold independently of the main house. In John’s case this would reduce the sale potential of his main home, because it would become “mixed use”, that’s a part residential and part commercial property. Of course this type of property has a more limited appeal. We advised John that if there was a problem with planning, he could use the services of a Planning Consultant familiar with the local plan. As always, our Consultant e-mailed an outline of the conversation to the customer. Around 6 months later John called our Consultant with news. He had taken our advice and had approached the Local Authority Planning Department for an initial talk about the likelihood of consent. This had been a positive conversation so John had immediately approached a Local Architect to get some drawings completed for a 4 Bed Detached Barn Conversion. The Architect had recommended that he use a very good local builder who would provide a fixed price contract based on the drawings and brief, which he told John was important as Barn conversions are notorious for cost overruns. The Builder recommended by the Architect was NHBC Registered, so in addition to his Professional Consultants Completion Certificate ( PCC), the conversion could benefit from a NHBC Structural Warranty. This was sound advice, as lenders often insist on such Warranties. John had submitted his Full Planning application and had been granted permission for a 4 Bed Detached Barn. The planners had included a 52 week holiday let restriction, as expected, but no tie to the main house. John had already instructed a Solicitor to split off the Barn/Plot onto its own freehold title, including 3 acres of land and told us that he liked the idea of some “glamping” on the site, as it might bring in some additional income. The Architect had dealt with the LABC (Local Authority Building Control) on John’s behalf, submitting a Full Plans Building Control Application and although the LABC had requested some additional loading calculations, approval had been given. John very quickly came back with the details we needed. Based on this we structured a bridging/development loan for John, which involved putting no cash into the deal, as effectively he was putting the land value in on day one. John needed £157,000 to complete the conversion, giving an end value of £580-£600K. The day 1 value of the land/Barn was £180K. We organised a 12 month bridge for John, usually if we are told that the project would take 12 months, we would request an 18 month bridging/development loan. However as part of the fixed price contract, there was an insurance underwritten guarantee that the work would be completed on time. On day one John received a net loan of £ 106,565 to get the project off to a swift start, then a series of stage payments up to £ 157,500. John’s overall loan, if the bridge had run full term would have come to £ 184,000, including the rolled-up interest. Of course, at the end of the bridging term, there is a need for an exit onto a long-term loan if you intend to retain the property and we always try to get this agreed at the same time as the bridging. Thus, while arranging John’s bridging finance, we had also approached a holiday let mortgage lender to agree an exit from the bridging onto a long-term holiday let mortgage. This had been agreed subject to income projections, which had already been supplied, and satisfactory valuation of the completed property. Around 10 months into the build, our Consultant called John for an update on the project. John told him that the conversion was almost complete and that he had accepted an offer to sell for £620K, subject to sign off and certificates! “At my age, I can’t afford not to take that kind of money,” he told us.